It’s probably not much of a surprise to anyone that Maddie Grace was never a good sleeper. Ever. Still isn’t. In fact she’s still the reason we aren’t sleeping well. Baby Tripp is an amazing sleeper (he deserves some type of baby award). But the problem is he always wants to be held and snuggled up when sleeping, which I know is fairly common for babies, especially when newborns. This is fine during the day when I will gladly snuggle him all day – for sleeping at night though it poses a problem. I want everyone in our family to be safe overnight, but I also want us all to actually sleep. 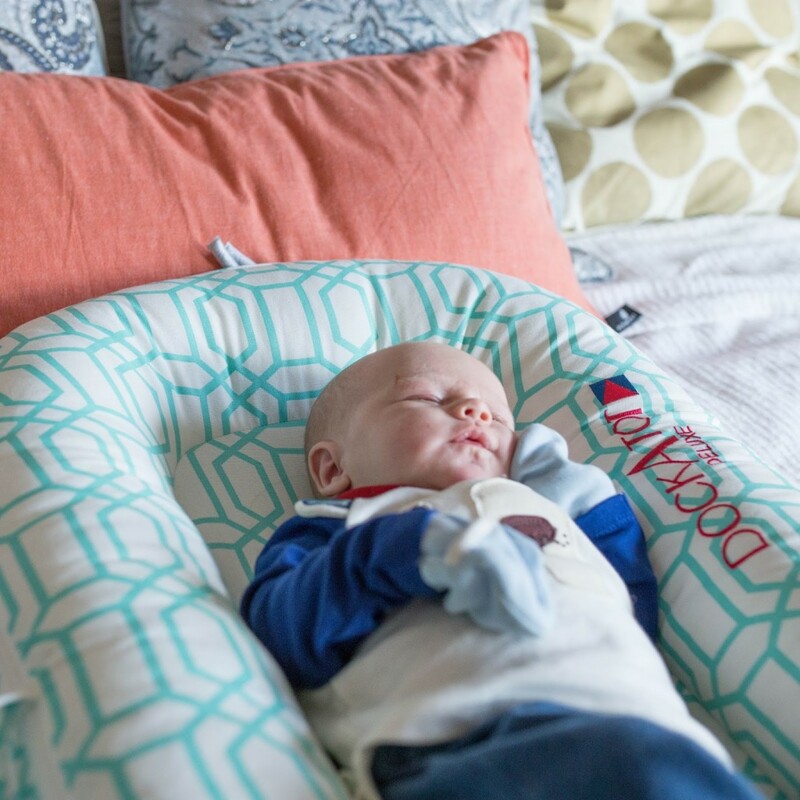 It’s hard to get both – which is why I’m glad the DockATot entered our lives. 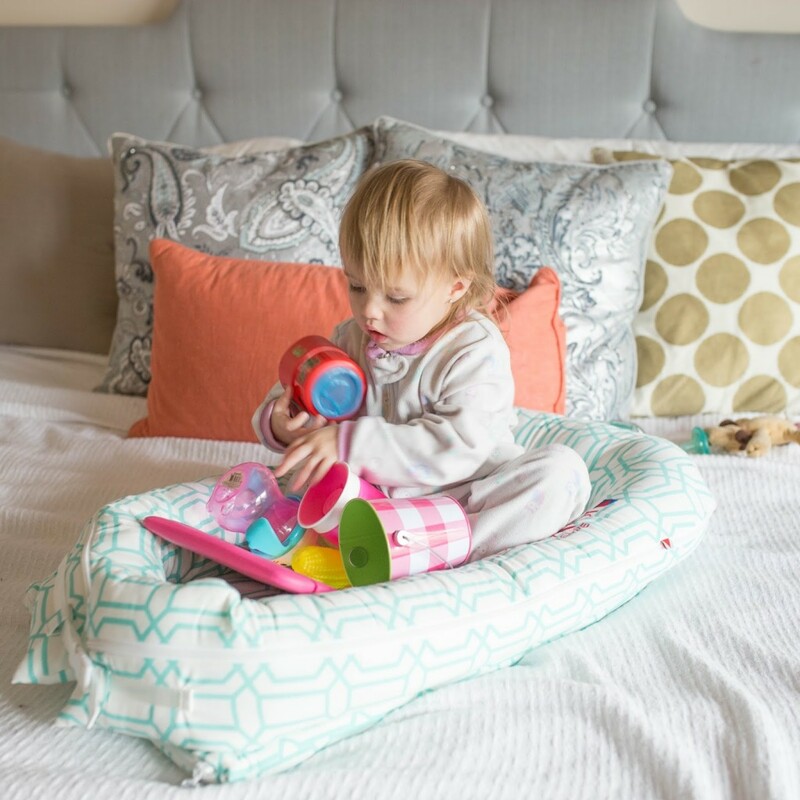 Before choosing the DockATot, I’m like you moms out there and read many DockATot safety reviews, this is why I decided to share my opinion here. The DockATot may not look like much, but it will surprise you with how well it works for helping babies sleep. It looks like a boat flotation device, which is how it got its name. Essentially it’s a bumper that encloses your baby. This creates a womb-like feeling for your baby where they can rest, lounge, play, and sleep. And yes, it’s the womb-like feeling that comforts baby and for us definitely helps baby sleep longer stretches. A lot of babies startle themselves awake during sleep and the cushioning of the DockATot helps prevent this. And of course the bumpers of the DockATot are air-permeable so baby can breath. The DockATot fits great in beds for cosleeping, bassinets, cribs, on couches, the floor… basically wherever you put it. We’ve noticed a significant difference in how Tripp sleeps when we use the DockATot and when we don’t. Not only is it easier to get Tripp to fall asleep in the DockATot (it’s next to impossible to get him to fall asleep in anything else, he wants to be held when he falls asleep) but he sleeps much longer stretches in it. 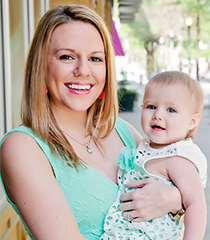 I also love the way the DockATot looks – we have the minty trellis design and think it’s adorable! The DockATot is great to travel with – it doesn’t take up much room and has handles on it. 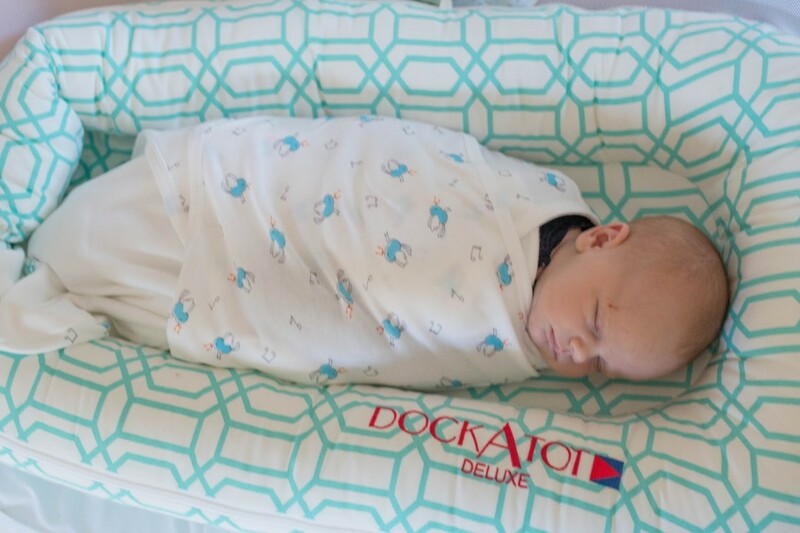 I also love that the DockATot comes in a variety of cute patterns and colors of machine washable covers, or of course you can order the basic white DockATot. And DockATot isn’t just for babies. What we have is the DockATot Deluxe which is for babies 0-8 months. After that you can graduate them to a DockATot Grande which is for babies and toddlers 9-36 months. I’m hoping to order Maddie Grace a DockATot Grande soon in hopes that it will help her sleep better in her big girl bed that currently isn’t getting much (er, any, other than the cat) use. The bumpers of the DockATot Grande act as bed rails in a bed and give toddlers some security helping them to sleep better. She clearly loves trying to squeeze in her baby brother’s so I might as well get her her own. After seeing the DockATot we’ve had a lot of friends say they wish they had known about it when their kids were babies. One friend even said she tried to get the same effect by rolling up towels and making bumpers under the crib sheet because she had no idea there was a product like the DockATot that did the same thing in a much easier and safer way. The DockATot Deluxe can be purchased on DockATot’s website, on Amazon , or at NordstromNordstrom. *I was compensated for this post in the form of complimentary product. Regardless all thoughts and opinions are my own and I only recommend products I truly love. Also this post contains affiliate links, from which I may earn commission but at no cost to the buyer. I wish this existed when my daughter was an infant — she too wanted to be held all the time and it was so tough to get a good night's sleep. Very convenient! We just placed pillows around our babies lol. Wow this would be great for travelling… wish I knew about it sooner! I don't have any babies (yet) but am always researching things to be helpful when the time comes! This looks like a very useful (and portable) asset to have to make sleeptime easier! This is awesome! I wish I had one of these when Sophie was tiny. It would have been very handy! I'm glad I know for the next one! I've never heard of one of these but it looks like it would be so helpful! This is such a great idea – we used rolled up blankets with both of ours to try and get that effect but this would have been so much better.